Legend says that tea was discovered roughly 5,000 years ago by Chinese Emperor Shen Nung when a single leaf blew into the emperor's pot of boiling water. A lot of things changes since that but this drink is still popular all over the world. 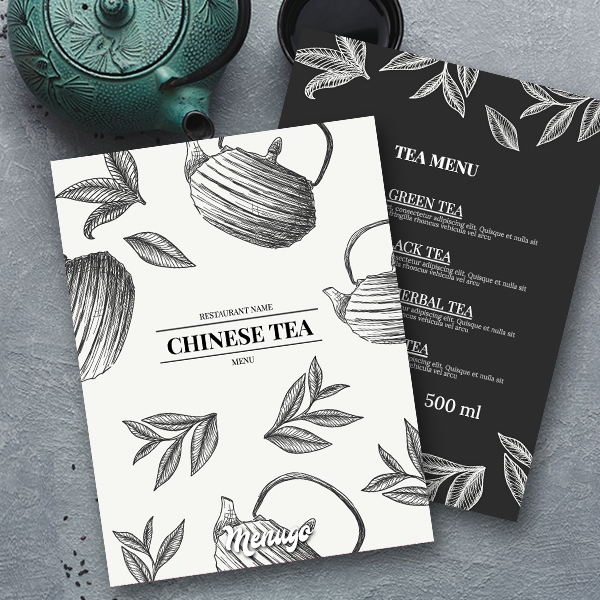 If you carry the tradition of Chinese tea then feel free to use our Chinese tea template with illustrated tea leaves in dark color. Everything changes but traditional Chinese ceremony of tea is staying the same.